The GCA was concerned about three key issues: Tesco making unilateral deductions from suppliers, the length of time taken to pay money due to suppliers and, in some cases, an intentional delay in paying suppliers. Over the course of her investigation, adjudicator Christine Tacon found delay in payments arising from data input errors, duplicate invoicing, reductions to maintain Tesco margin, as well as unilateral deductions resulting from forensic auditing, short deliveries and service level charges. Tacon advised Tesco to “hold off” making unilateral decisions from money owned for goods supplied, to give suppliers 30 days to challenge any proposed deductions and that the retailer correct any pricing errors within seven days of notification. 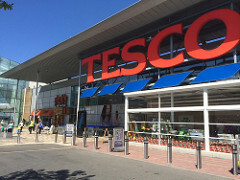 Tesco has been given four weeks to say how it plans to implement recommendations by the GCA, with regular reports demanded on its progress. Dave Lewis, Tesco group chief executive officer, said: “In 2014 we undertook our own review into certain historic practices, which were both unsustainable and harmful to our suppliers. We shared these practices with the Adjudicator, and publicly apologised. I would like to apologise again. We are sorry.